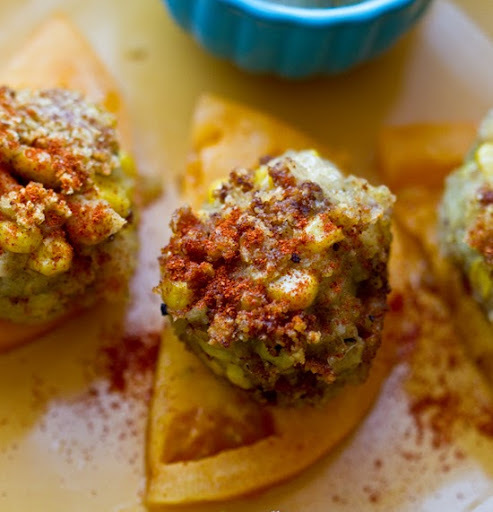 Corn Cake Bean Balls! 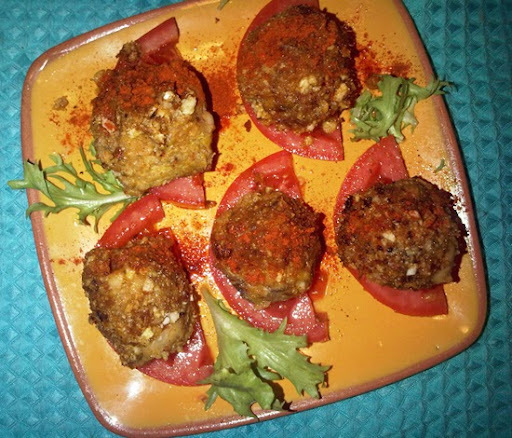 Easy 'Amazeballs' Recipe. 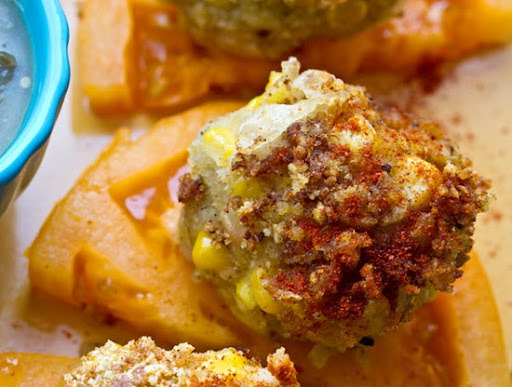 These easy Corn Cake Bean Balls I made today are fantastic! I hope you take a minute to read (and try!) this crowd-pleasing vegan recipe. Word 'o the Day: Balls. Yeah, really. 1) Well I managed to whip up this absolutely delicious *simple* recipe for Corn Cake Bean Balls. 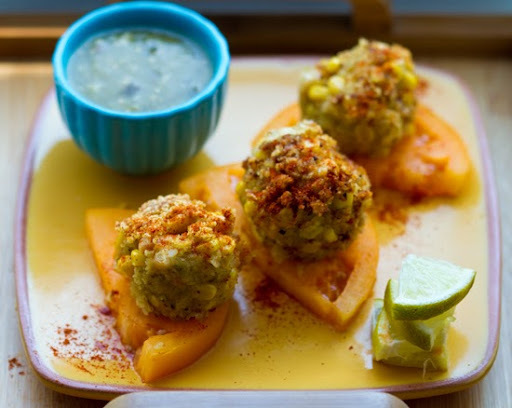 I'll just call them 'Fiesta Balls'. No flour added, mind you. 2) I'm headed to the US Open Tennis Tournament tonight so I've got tennis balls on the brain. Read my US Open review from last year here. 3) well this has been a week of ups and downs. Bravery and let downs. I've taken a few chances, put myself out there and while a few exciting good things have happened (you'll see all the 'good things' unfold on my blog) - a few brave moves have left me feeling unsettled still. Alas, being brave sometimes has unsatisfying consequences. 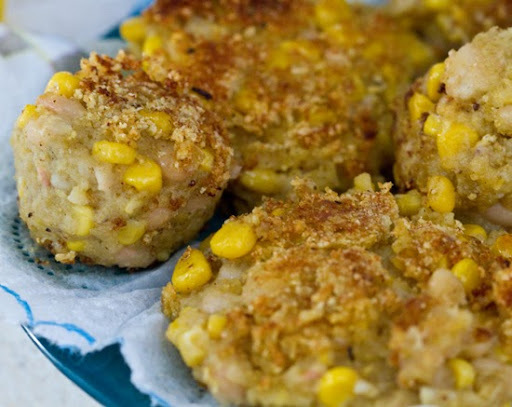 Corn Cake Balls. 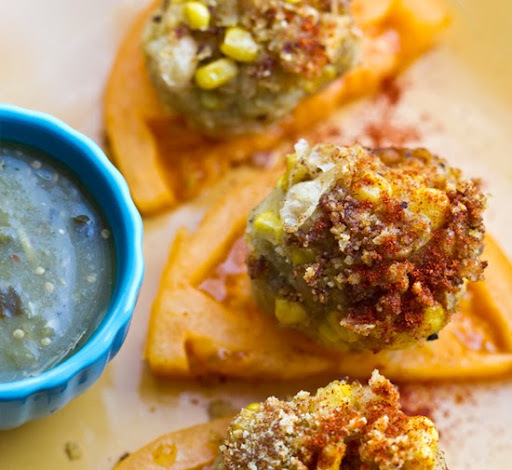 These soft, tender balls are sweet and seasoned to perfection. They remind me of a soft cornbread corn cake - only these are free of flour. The main ingredients are very simple and healthy. UPDATE: Version Two - Mushroom Bean Balls. So my husband hates corn. But I wanted him to try these amazing balls. So here's what I did. It worked fabulously!! ...note I also folded in 1 Tbsp of harissa for an extra spicy flavor. Balls, Patties or 'hash browns' - I took this mix and tried making balls, patties and even sort of hash brown-esque creation. You can basically serve this mix in a variety of ways - just stick it in the pan, lightly saute/fry and serve! Yummy as a ball, cake or flat pan-fried creation. Breakfast, lunch, dinner or appetizer approved! 1. Steam fresh corn. Cool. 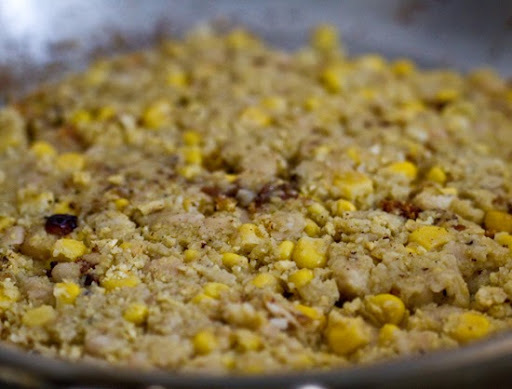 Scrape corn kernels. Pour beans, corn and all ingredients except the rushed lentil or rice crackers into a large bowl. 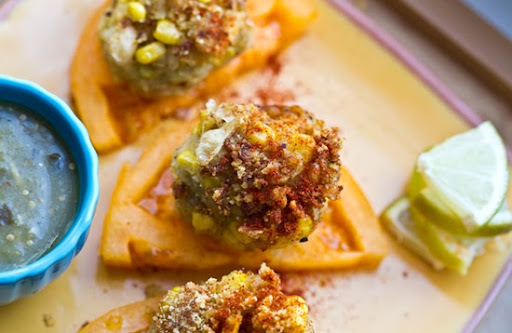 NOTE: You can leave corn 'whole' or process/mince it in a food processor for a finer texture to your fiesta balls. 2. 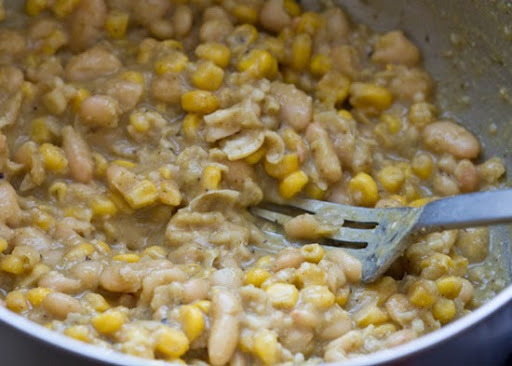 With a fork, mash the beans and corn until a pasty substance forms. 3. In a blender, process your lentil or rice crackers into finely ground bits. About 1-2 cups. Fold the bits into the mixture. 4. Turn heat on stove to med-high. Add a thin layer of EVOO to saute pan. Wait until hot. 5. 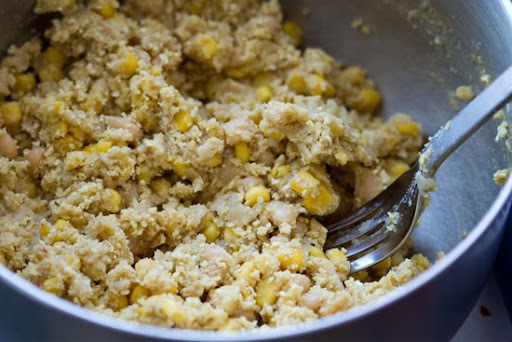 Form bean/corn mix into tiny balls or patties or a large pancake. Place on hot oil and let 'fry for just a minute on all sides Remove from pan when edges are browned. 6. Transfer to paper towel to cool. 7. Serve with a side of salsa verde, lime wedges, a dash of cayenne and even some lemon juice squirted directly on top. Serve warm.